The Kids Navajo Mountain Fleece 14+ from Jack Wolfskin will keep your kids warm. It is made of Jack Wolfskin's warmest fleece fabric and has an insulated, wind-resistant hood. 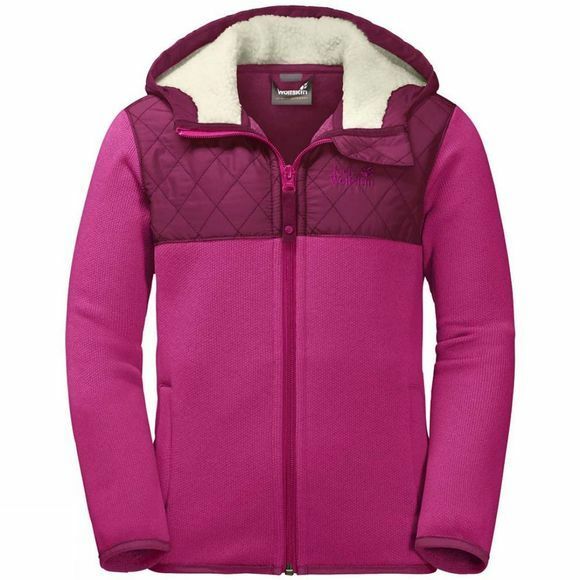 The fleece has a knitted-look exterior and a soft, brushed reverse side. This makes it even warmer than regular fleece. The shoulders and hood are covered in wind-resistant fabric to help prevent wind chill, and these areas of the jacket also have synthetic fibre insulation for warmth.